You would like to get to know us, request a quote or ask us a question? Please use the following contact options to inform us of your enquiry. We would be delighted to advise you on all questions related to the subject of bakery machines. „Our collaboration in past years has been a vital ingredient to our own Company and Family's vision, and mission, to bake innovatively without compromise to old-fashioned Bread-Excellence. Together we are Baking a Difference!" In the world of bakery technology, the name FRITSCH has stood for excellence Made in Germany for over 90 years. With the highest quality, pioneering new developments, tailor-made solutions and the best service, FRITSCH offers everything that the bakery trade and industry need to produce first-class baked goods. Because top quality is achieved when technological knowledge and craftsmanship are combined. As a specialist for dough processing lines, FRITSCH has excellent engineering competence at its disposal and uses this, together with its high technical and technological know-how, to develop tailor-made customer solutions. Always with the clear premise that the machine adapts to the product - and not vice versa. FRITSCH thus underscores its position both with customers and in the industry as a reliable partner, a passionate solution provider and a hotbed of innovation. The result is machines that understand the customer's craft and master what creative bakers are challenged to do on a daily basis: the efficient, careful and particularly dough-friendly production of a wide range of product variations. 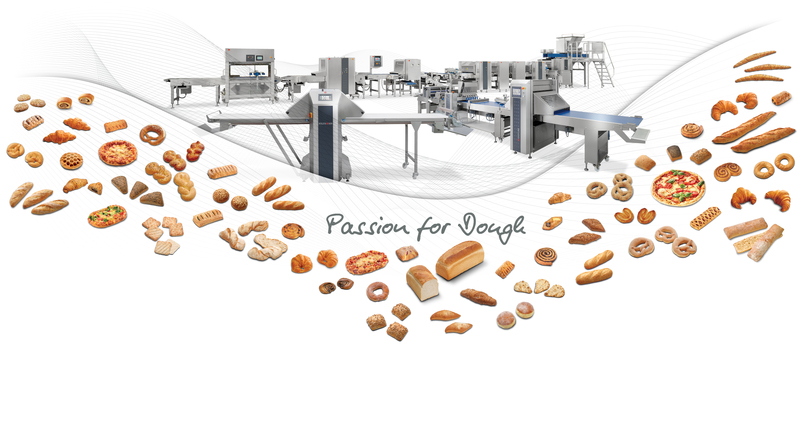 With the dough band technology from Fritsch you can produce almost all the bakery products in the world. From rustic bread specialities to precisely wrapped croissants to automatically wrapped pretzels, FRITSCH offers comprehensive solutions in a wide range of performance classes. Crafted bakeries benefit from the industrial wealth of experience that flows into the compact and flexible systems. At the same time, FRITSCH integrates its in-depth technological knowledge and technical understanding into the development of fully automatic, highly efficient solutions. These fulfil almost every wish of industrial producers. Of course, new products and recipes are also developed together with the customer in the FRITSCH Technology Center - for bakery products with which craft bakers and industrial customers will continue to inspire their markets in the future. Discover the FRITSCH machines which can produce top-quality bread and bread rolls of all types. Pastry products bring delicious variety into your product range. The FRITSCH pastry make-up technology will help you in this regard. From Croissants up to salt sticks ‒ with the FRITSCH coiling technology, you can optimally manage all your coiled products. Pizza, Pita, naan or wraps in every imaginable shape and quantity ‒ no problem with the FRITSCH Technology. From pretzel to knot – The FRITSCH twisting machines produce all twisted products automatically. With the flexible FRITSCH systems all of your desired specialities can be produced reliably. Register now and don't miss any news! FRITSCH Technology Center - All our know-how in one place! FRITSCH – for decades, this name has been synonymous in the world of baking engineering and technology with high-quality, efficient lines and pioneering innovation within the sector of dough sheeting and processing. FRITSCH’s machines are used worldwide to produce premium bakery products. From artisan bakeries to industrial-sized bakeries. Irrespective of whether companies require sheeting machines, components or complete lines. 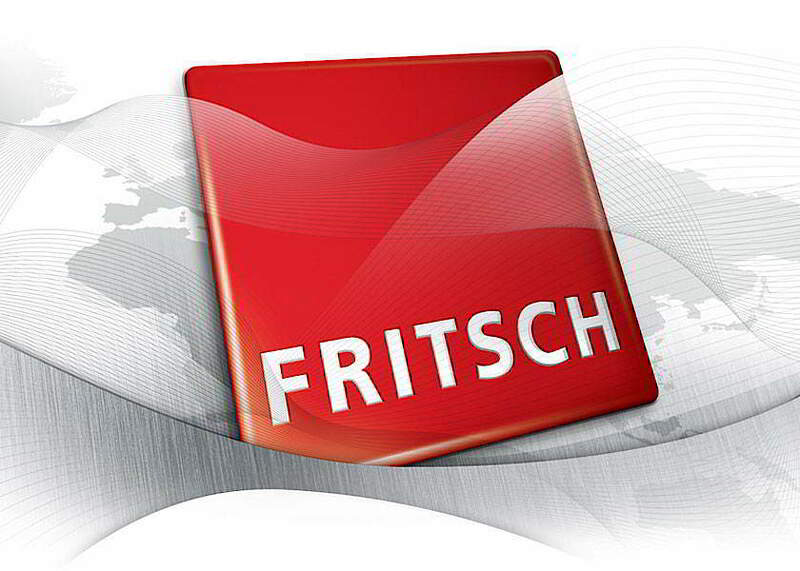 FRITSCH offers efficient and technologically sophisticated solutions in all areas. The family-owned company stands out from its competitors due to its creative engineering and unconventional solutions. Close to 600 employees are now working hard to ensure the success of the company. More than 50 international sales and service partners guarantee proximity to customers in all markets. Moreover, FRITSCH has subsidiaries in Russia, Poland, the USA and the UK.